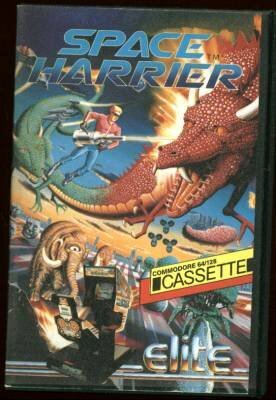 The video clip above features the Atari ST version of Space Harrier (by Elite) from the 80s. This was the version I played and the moment I heard that music again it brought the memories flooding back. 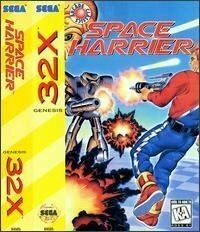 Personally, I always found the game quite awkward to play and it took quite a bit of practice to get used to the gameplay. 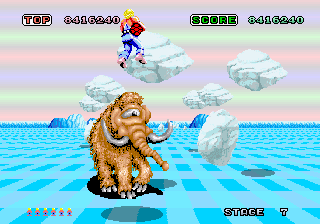 Space Harrier was originally released into the arcades in 1985. 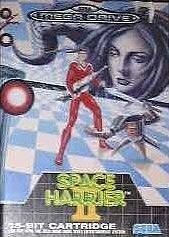 Produced by Yu Suzuki, it was then ported to various video game systems and 8-bit and 16-bit home computers including the Sega Master System, C64, Amstrad, Atari XL/XE, Atari ST and Amiga. 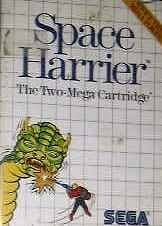 The home computer versions were mainly on the Elite label. 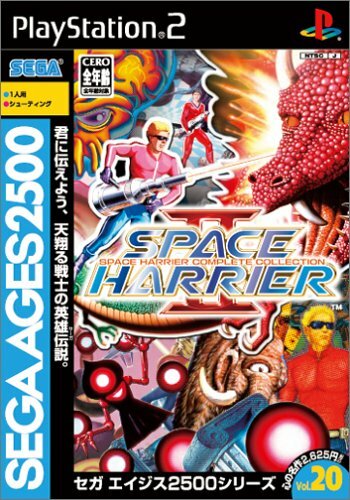 "Space Harrier Gameplay" by http://www.hardcoregaming101.net/spaceharrier/spaceharrier.htm. Licensed under Fair use via Wikipedia.